Deportation of non-violent people is cruel and inhumane. To raise awareness of this immoral policy, we at Open Borders: The Case want a logo or symbol that conveys the message “No More Deportations.” The sponsors of the contest are offering $150 to the person who produces the logo that we think bests communicates this message. Payment will be made via PayPal. Criteria: We imagine that this will be used on posters, stickers, iron-on patches, or flyers. It should be recognizable in a small version like a sticker or a large version like a banner. The winning entry should clearly be about deportation specifically and not a broader issue, like immigration. Submission: Anyone in the world may submit an entry as long as it is in good taste and consistent with the message. The contest will run during July and August 2015. Interested persons should join the Open Borders Action Group on Facebook to post an entry, or send it by email to openborders@googlegroups.com. The sponsors reserve the right to delete submissions made in poor taste. Open Borders is a skeptic’s movement. Advocates claim that one of the world’s most important, and fairly popular, public policies is immoral, inhumane, and inefficient. For some, even the concept of Open Borders is shocking. Aren’t governments supposed to control borders? Won’t Open Borders lead to chaos and disorder? Open Borders is not the only movement to rely on mistrust of the state. For example, privacy advocates are concerned about the abuse of surveillance by law enforcement agencies. Not only should we be concerned that state officials might use surveillance for personal goals (tracking an ex-girlfriend, for example) but we should also be concerned with more systematic abuse. When state officials gain more access to our bank accounts, phone records, and emails, state repression is more likely. Similarly, the recent anti-police movement in the United States expresses skepticism of government. These activists argue that police can’t be trusted to use force without supervision and that they should face consequences for their actions. While these activists wouldn’t identify themselves as anti-police, they do criticize the current US policy, which is that police officers are rarely sanctioned for use of force because the law makes it extremely difficult for prosecutors to show that police officers were not concerned about their safety. An important question to consider about the skeptical movements is how Open Borders relates to mistrust in government as expressed by these other movements. To answer this question, it helps to distinguish between short term mistrust created by specific incidents and deeper distrust emerging from a more sustained criticism of policy. Sometimes, people become skeptical of government policy because of a specific incident or cluster of incidents. The reactions to the recent deaths of Eric Garner, Tamir Rice, Michael Brown and other young Black men in the United State are examples of mistrust driven by incidents. At the time of this writing, there does not appear to be a whole sale criticism of police or the laws that make it easy for police to commit these acts. Yet, a movement has sprung up that seeks punishment for specific police officers or reform in certain places. Incident-driven skepticism of government can still be useful for movements. They bring attention to an issue, people provide resources, and so forth. An industrious activist can make the connection to broader issues, but this is often hard. Perhaps the most important outcome of these incidents is to challenge local conditions. The killing of Michael Brown in Ferguson, Missouri might lead to change in that city, even if it does not result in national reform of the police. For Open Borders, I suggest the following. There are incidents that can erode the public’s views on migration restrictions and they can be useful, but do not expect them to transform the movement. Instead, use them as short term opportunities to build a movement. Use them to bring people together who might not otherwise interact. They can also be used to gather the resources needed for more systematic action. When incidents occur, Open Borders advocates may provide the intellectual heft that can be used to bolster and support a sustained reform effort in specific places. In general, it is not clear to me that the distrust around issues like mass surveillance or police violence can be immediately tranferred to migration because policy evaluation seems to depend a lot how people bundle issues. Currently, people bundle issues according to political party, which political scientists call “polarization.” I do not think it is wise to turn open borders into a Democratic or Republican issue just to curry favor from people in one party who might be skeptical of police violence (Democrats) or mass surveillance (libertarian leaning Republicans). Thus, unless we turn open borders into, say, a Democratic issue, it would be hard to bring all the “skeptics” together. What do I suggest instead? I might avoid thinking about mistrust altogether and focus on showing how open borders is not consistent with popular values. This is a strategy of creating wide scale cognitive dissonance. There are many ways to do this. Incidents that create negative impressions of closed borders can be used to bring people together. But so can educational efforts, court cases, and other forms of action. This is more valuable because it is an alliance that exists independently of parties and of specific incidents, which have short term impacts. One popular value is human rights. Nearly all democratic governments will base their laws on some form of basic human rights. In the US, the constitution focuses on the rights of speech and due process. In other nations, people may have citizenship rights. Regardless, Open Borders activists may erode support for migration controls by simply pointing out that human beings have a right to peacefully move across national borders as they would internal borders. 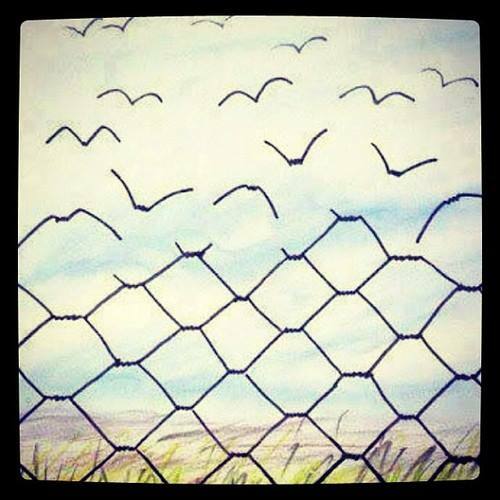 Open Borders is a natural extension of the belief that people should be left to do as they please as long as they do not harm others. We often see events that bring existing policy into question. The NSA revelations did this for our nation’s security agencies. Recent police shooting have triggered a similar process for local police departments. But these have not yielded wide scale reform and the attention given to these issues can be ephemeral. Instead, open borders is a movement that shouldn’t be attached to one specific issue, but instead to arguments that can hold together a wide group of people outside of the party system. The author’s three-part series on how to achieve open borders goes into more detail on the short-term and long-term steps needed to chart a path to open borders: part 1, part 2, and part 3. Newtown, availability bias, and why civil disobedience works by Nathan Smith, January 18, 2013. Why Jose Antonio Vargas Matters: Making Human Rights Real by Nathan Smith, May 17, 2012. Rand Paul’s interesting precedent by Nathan Smith, March 12, 2013. See also all our blog posts tagged open borders advocacy. It is our pleasure to announce the winner of the Open Borders Logo Contest. 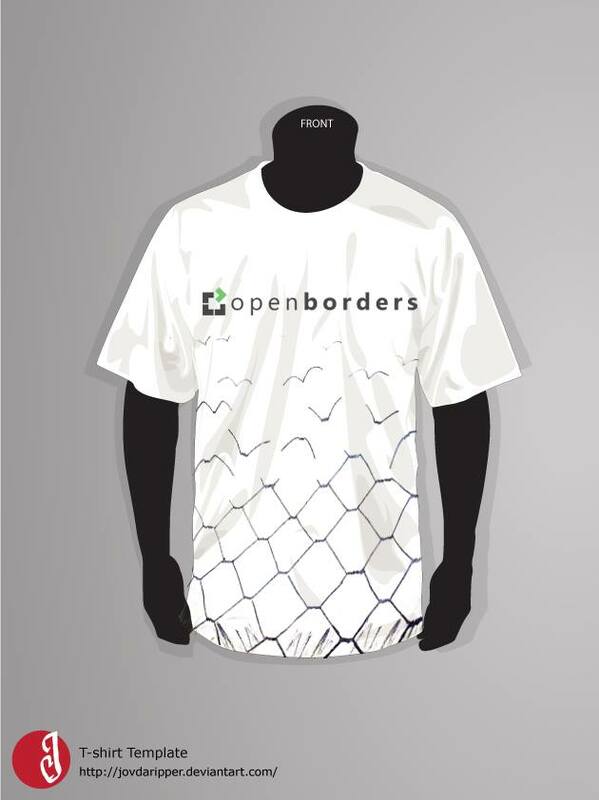 The goal of the contest was to produce a simple, but aesthetically pleasing, symbol that would represent the Open Borders movement. We received many excellent entries. On behalf of the contest sponsors, Bryan Caplan, Vipul Naik, and myself, I declare that the image made by Niklas Blanchard the winner. While a number of entries were well done, we thought that Niklas’ entry was simple and would be easy to depict by hand, on a whiteboard or chalkboard, or in posters and billboards. The image was originally posted on Facebook here. As the winner, Niklas has released the image under a Creative Commons Attribution-ShareAlike 3.0 Unported License on his blog. The original release statement is here. That means that he allows you to use the logo in your own work (t-shirts, bumper stickers, posters, etc) as long you agree to the terms of this license. If you have any leads about the author and license of this image, please let us know, so that we can make appropriate arrangements to use the image on Open Borders T-shirts. Over the last month, we’ve run the Open Borders Logo Contest. The goal is to create a symbol that represents the basic human right of free migration. The contest ends on midnight of September 30, 2013. Don’t waste time. To enter the contest, join our Facebook group, which we moderate. Our sponsors, Bryan Caplan and myself, will award $200 to the winner, chosen by us. The winner will allow us to use the logo and will allow others to use the image. We encourage the winner to use the Creative Commons license to enable easy reuse. Sign in now and check out our contenders. PS: If you don’t have a Facebook account but want to participate, please email your submission(s) to openborders@googlegroups.com and we will post it on your behalf. This post was cross-posted at orgtheory.net, a group blog on sociology where Rojas is a participant. The cross-posted version is here. The winner will be announced on October 1, 2013 or later. All contestants will retain the rights to their design. The winner will allow the Open Borders website to use the image indefinitely in exchange for the prize money. The winner will allow others to use the image as long as they do so in a non-profit manner. In other words, the winner is free to use the image for their own benefit, but they’ll allow it to be used for Open Borders signs, banners, websites, and the like at no cost. UPDATE: Although this is not a precondition of participation, it is recommended that you consider releasing your image under one of the Creative Commons licenses. Creative Commons licenses are often used for publishing artwork and images over the web in a manner that facilitates reuse while preserving selected rights of the author. UPDATE 2: Those who do not have a Facebook account or prefer not to post the pictures on Facebook can email the photos to openborders@googlegroups.com — one of us will post the photos for you. If you prefer to be anonymous and have your identity known only to the site administrators, please let us know in the email. Open Borders Logo Contest is licensed by Fabio Rojas under a Creative Commons Attribution 3.0 Unported License.